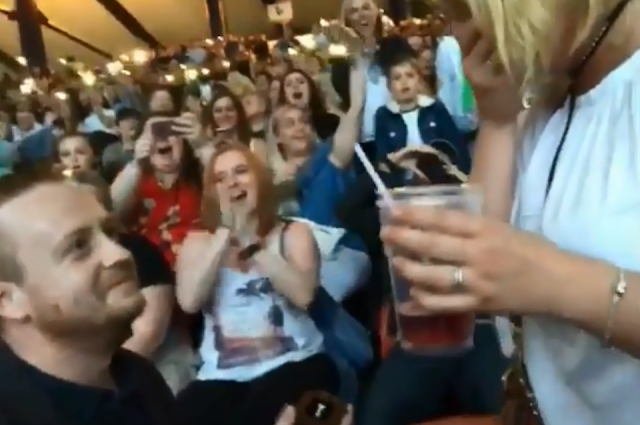 A MYSTERY couple brought an Ed Sheeran gig to a standstill after getting engaged during a Glasgow show. The pair vowed to tie the knot after a marriage proposal at the singer’s sold-out Hampden concert on Sunday night. The Castle on the Hill singer played three mammoth shows at the national stadium after kicking off his tour on Friday. 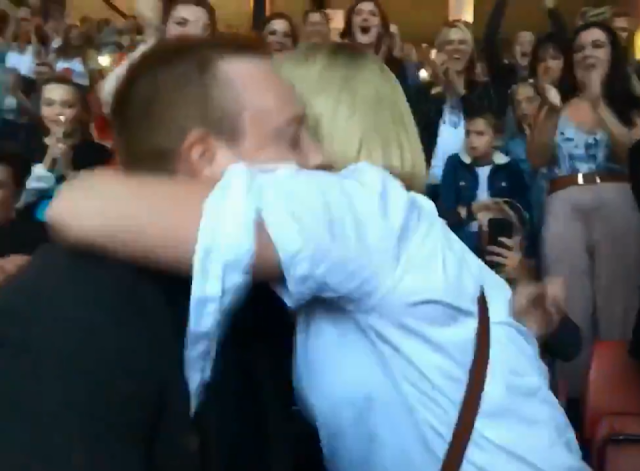 And the unnamed happy couple brought tears of joy to surrounding fans after the sweet gesture during Ed’s hit song Photograph. One reveller filmed the eye-watering moment when the groom-to-be was seen getting down on one knee to pop the question. Concert-goers can be seen clapping and cheering as the stunned woman covers her mouth in disbelief.